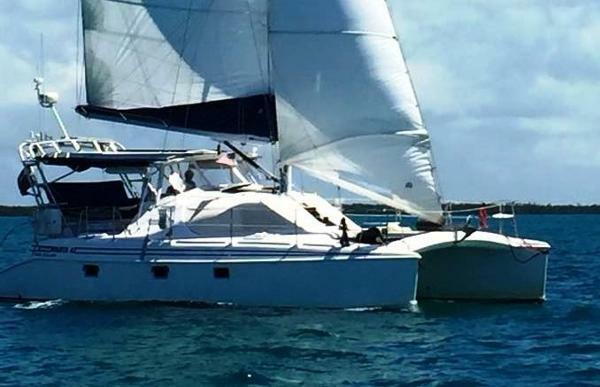 Manta Catamarans are an iconic American brand with an eventful history dating back to 1993. Manta catamarans have explored the globe and been loved by their owners so much that they have a special owners association. We are delighted to be offering Kapai to new owners to enjoy this elite group and live their dream. 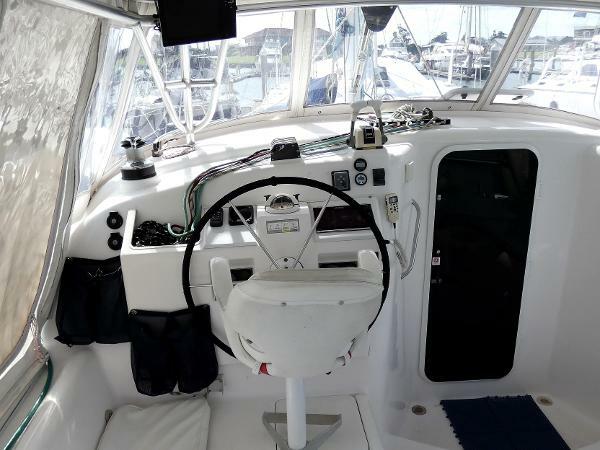 Kapai has a large, comfortable cockpit with a wonderful swing seat mounted on the arch support giving helm-height views from the stern. 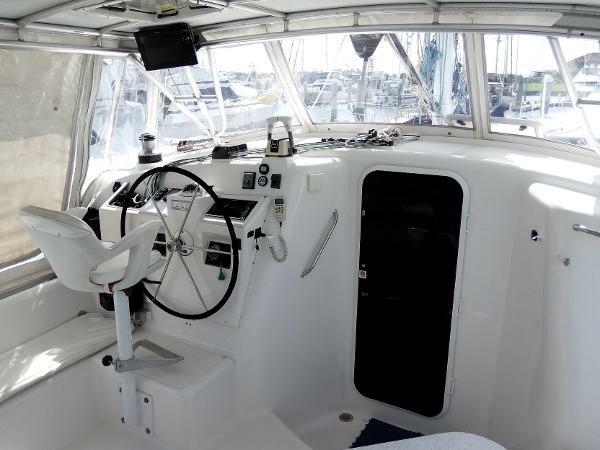 The entire area is covered by an alloy bimini top, roll up side curtains and clears. Inside, the saloon is spacious with galley up, a large working bench area, saloon seating and table. The surround view of scenery and activity is inspiring. Kapai, like all Manta’s, is a three cabin, owner’s version; it has two double cabins plus a third with twin singles. The owner’s cabin has a full ensuite while the guest cabins share a centrally located shower and toilet. In 2014 Kapai was fitted with a new sails and rig. She sails well with a fully battened main and self tacking headsail incorporating a camber spar fitted inside the sail to control sail shape. Never chartered Kapai has happily sailed from Florida to New Zealand with her current owners who are now on their way to pursue a new dream.